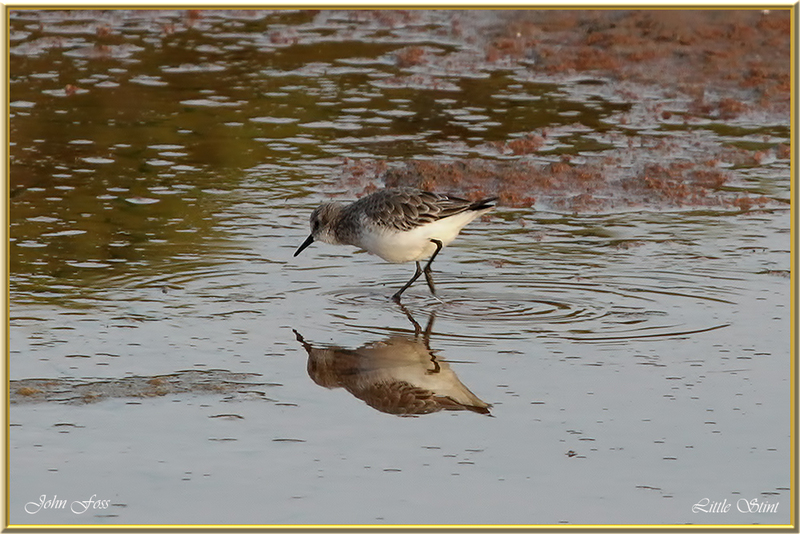 Little Stint - This bird is in winter plumage. In summer the back and head are a more rusty or orange colour. 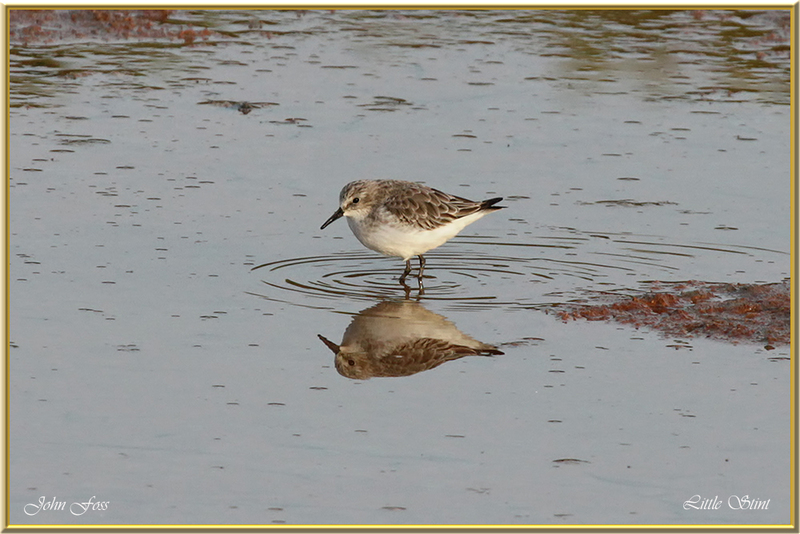 Easily confused with Temminck's Stint. The latter though having yellow legs as apposed to the black legs of this bird. It is very white underneath. It does not breed in the UK. It breeds in arctic Europe and Asia so is a long distance migrant. Mostly seen in Britain and Ireland on passage migrating to Africa. 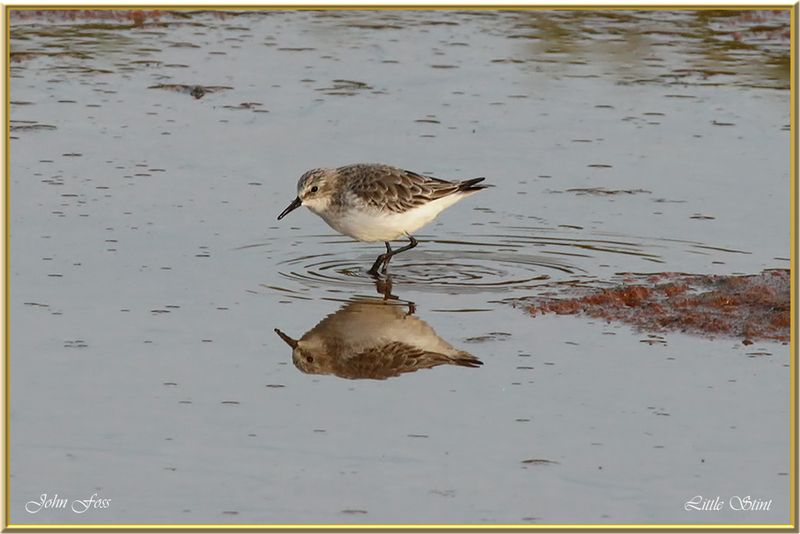 They tend to mix with Dunlin when feeding.